First city and capital of Scotland, Edinburgh with its stunning architecture and rich history, has long been seen as one of the most desireable places to live in the UK. Home to almost 500,000 residents, Edinburgh is also home to the Scottish parliament, the Museum of Scotland and the Scottish National Gallery. House prices in Edinburgh have witnessed a strong recovery since the 2008 financial crisis, and a recent report from Hometrack showed that the average price of property in Edinburgh is now closing the gap on the London property market. Despite the increase demand for property in Edinburgh and the surrounding areas, there is still considerable value for money to be found for investors. Recent stamp duty changes in Scotland saw the Land and Buildings Transaction Tax (LBBT) being removed at the lower end of the property market, whilst increasing at the luxury end. Whilst the Edinburgh buy to let sector has undoubtedly been bouyant in recent years, the student property sector has seen an increased focus in more recent times. Driven by high demand from students who are not liable for tutition fees, there is now considerable rental demand for high quality student accommodation in Edinburgh and its surrounding suburbs. This high demand, coupled with a very low level of supply has resulted in student properties in Edinburgh selling out much quicker than those in other established university towns south of the border. A recent report by Chestertons named Edinburgh ranked Edinburgh as the top city in the UK to invest in student property. 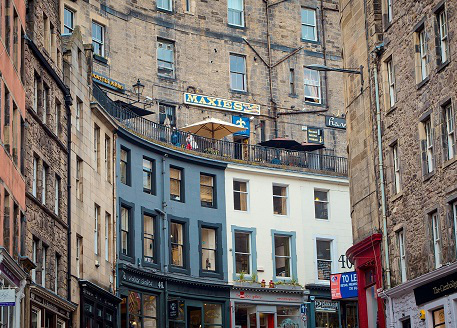 The report, which looked at a wide number of factors including average costs, rent charges and growth in house prices placed Edinburgh as the number one destination for student accommodation investment in the UK, ahead of Bristol and Brighton.